If you want to travel around the Czech Republic, without being attachedto the tour routes, then your best bet is to rent a car. In order to rent a car in the Czech Republic do not have to collect a large set of documents. It is enough to have an international driver's license and a bank card. But there are restrictions on age and driving experience. The driver must be greater than 21 years. Experience - at least 2 years. The deposit for the car will be 350 EUR. But what a gorgeous package you get in return: insurance (theft, accident, civil liability, the element of "Green Card"), road taxes, unlimited mileage, as well as vignettes to follow on toll roads. For an extra fee you can get navigationand a child seat (sometimes stocks may offer free of charge). In winter you can reach an agreement about the luggage locker. Also, the tenant will have to pay fines, tire service, washing machines and damage if it is caused by the driver under the influence. But rent a car in the Czech Republic will allow you to spend a holiday rich and qualitatively. In the Czech Republic there was a set of ancient castles andfamous breweries, leading its history since time immemorial. 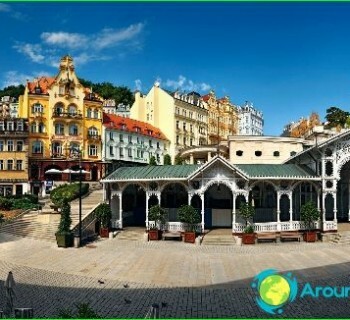 In Karlovy Vary you can go to the spa water. 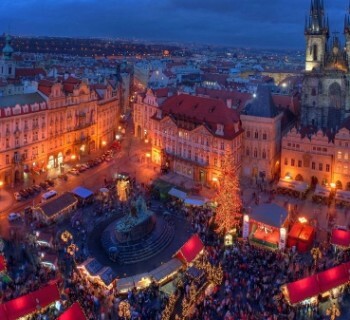 In Prague itself there are many beautiful churches, the famous Charles Bridge and Old Town Square. However, you should know that in the capital, many pedestrian streets, so all the sights overtake the car is unreal, somewhere will have to "dismount." Leaving the car in the parking lot, you can take a walk on the pavement of the historic streets of the most beautiful cities in Europe. In winter, the Czech Republic, many come toski resorts, but limited only to stay on them may not have to, if you have a rental car. If you want to visit the neighboring country, it can be done, following a number of conditions. Leave the territory of the Czech Republic and can be rentedcars, in this case necessarily have to report this fact to any representative of the car rental company. It is possible that you will be offered additional insurance. Useful and vignette for driving on toll roads. And for those traveling to Austria, will need special sticker Plakette, allowing to enter the environmental zone.